Sanding and refinishing hardwood floors in your home is one of the top home improvements you can do to increase the overall appearance, and first impression inside your home. Like other major home improvement projects, refinishing wood floors is a rather invasive process that takes a few days to complete, can be very messy, and may actually require that you leave the home and stay in a hotel for a few nights. In this home improvement article, we’re going to share the details of our recent meeting with a flooring contractor about refinishing our hardwood floors, and his recommendation about how hard of a DIY project it actually is. We’ll also tell you how much it’s going to cost to refinishing the hardwood flooring in our ranch style home, and exactly what was included in our price estimate. If you think you have what it takes to refinish your wood floors, here is what we were told by our contractor. You be the judge. You can also read what it cost us to install hardwood flooring to a small back bedroom in another area of the home. All furniture needs to be removed from the rooms being refinished. Plan on getting help to move things around and also having an area to store the furniture during the several-day process. Refinishing the floors is not a 1-day job! Even a small project like a 10×10 room, is a few days job. Imagine doing a kitchen, living room, dining area and hall all at the same time, it could take 3-5 days from start to finish and most companies prefer you not walk on the floors in between the project steps. You need to rent specialized sanding equipment. Equipment rental costs between $35-$60 per day to rent, higher in some areas. You also need to have a few drum sanding belts to go on the unit which cost $15-$30 each as well. In addition, you may need a second power sander to get the edges or corners. Additional supplies and manual labor! After the floor is sanded the first time, you need putty and wood filler to fill every small crack and seam in the floor. After that, you can do a finish sanding on the floor to prepare it for the new stain or polyurethane sealer. Stain and sealer options – Many people like to see a few examples on their own floor before deciding on the exact color and sealer to use. This means you need to find a corner or other inconspicuous area to test a few small samples. You got it right… after you decide, you need to sand them back off to prep for the final finish. Clean and dust free between each coat! 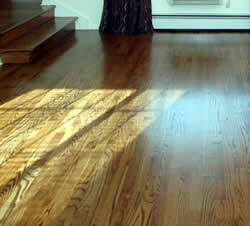 You must make sure the hardwood floor is perfectly clean and dust free between each coat of stain and poly. Otherwise, it’s going to reflect in the finished product when your done. Expect 1 coat of stain (if using) and at least 2 full coats of polyurethane! That means at least 3 days just to get a full dry time between each coat. The preparation of hardwood floors for refinishing is the key to a perfect look, so don’t skip or cut corners if you decide to make it a diy project. In our home, we have a large main room that includes our kitchen, dining and family room. At the end, we have a long hallway that runs the length of the home (it’s a ranch style remember?) which we want to have refinished at the same time. In total, we have 995 square feet of hardwood floor to be refinished. The contractor gave us a total estimate cost of $2,580 to refinish the floors, which included everything. We did not need a hotel since we have a full basement with a second kitchen, entrance and everything we needed to live comfortably during the project. Day 1 was prep, day 2 was the stain (we darkened our floors) and a late day first coat of poly. Day 3 was a second coat of floor poly and day 4 was the final day of drying and moving the furniture back into the rooms. How much did your hardwood refinishing cost you? 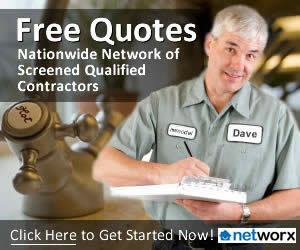 Click here for up to 4 free estimates from local contractors!